Extracts from a brief interview with Aaron ‘tenderlove’ Patterson at RailsConf. Gush is a parallel workflow runner that uses Redis as its message broker. DHH reflects on his beginnings with Ruby (on a 800MHz iBook) and reasserts his long standing opinion that programmer happiness and productivity outweigh raw speed. 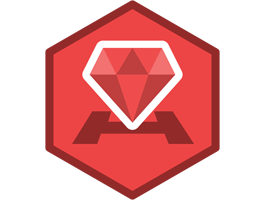 Are you swamped with work but want to be ready for Rails 5? Upgrade Rails is a new service from the founders of Hint.io and Honeybadger.io. Let our expert team upgrade your Rails apps so that you can focus on features, not maintenance. At RailsConf 2016, Ryan Davis showed how to write tests from scratch starting with assertions and building up to a full testing framework. RbConfig provides a collection of low-level information about your system, both at the OS level and the Ruby interpreter itself. If you haven’t ever played with Mechanize, this is a handy (and topical) introduction based on a recent decision by the BBC. Your Day Job Is Writing Ruby But Not in A Web Context. What Do You Do? This question on Reddit has provoked a lot of interesting replies. A thorough introduction to modern RSpec usage. A large amount of sites are still vulnerable. Let’s fix that. Get performance insights, error tracking, custom metrics and loads of integrations. Plans start at just $19.